Last week we worked on testing the rules with test scenarios. This week we will put it all together, give you a web application that integrates with the various rules, events, and ruleflow process you have created. 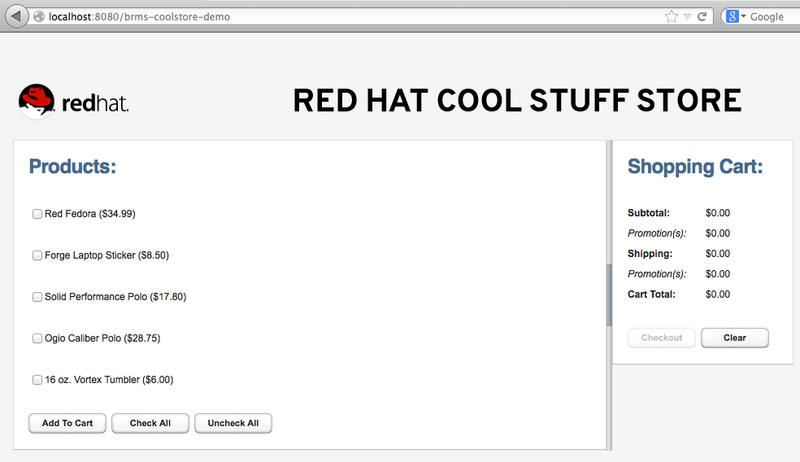 You will then learn to run through the Cool Store demo as a customer session might take place to showcase this JBoss BRMS product.